I saw this incorrect PCGS identification and just had to bid on it. Not a bad auction win for me. 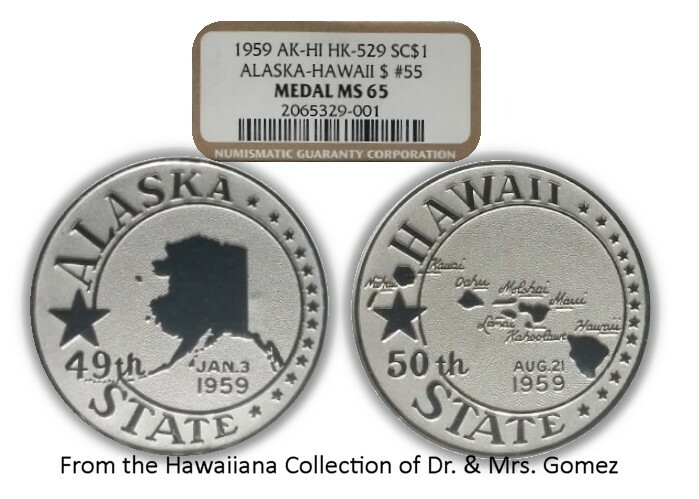 For the budding so called dollar specialist and Hawaiiana Statehood medal specialist, this is a sterling silver medal that should have been correctly slabbed as 2M-18 or HK-529. Mintage is a mere 100 specimens. I not sure how PCGS, the owner, and other 61 auction viewers missed this one. 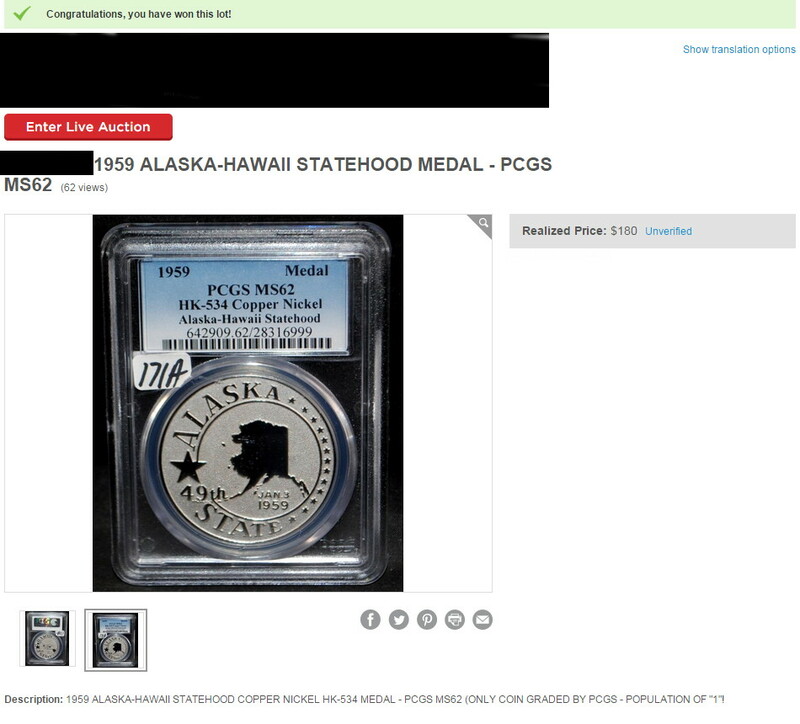 For the astute collector: Buy the coin/medal …not the slab…. Below is a comparison specimen.